Andrea Mazzoli lives and works in the Veneto region of Northern Italy. Since the early 1990s he has concentrated on creating wildlife and natural landscapes for the European market, working in oils and mixed media. 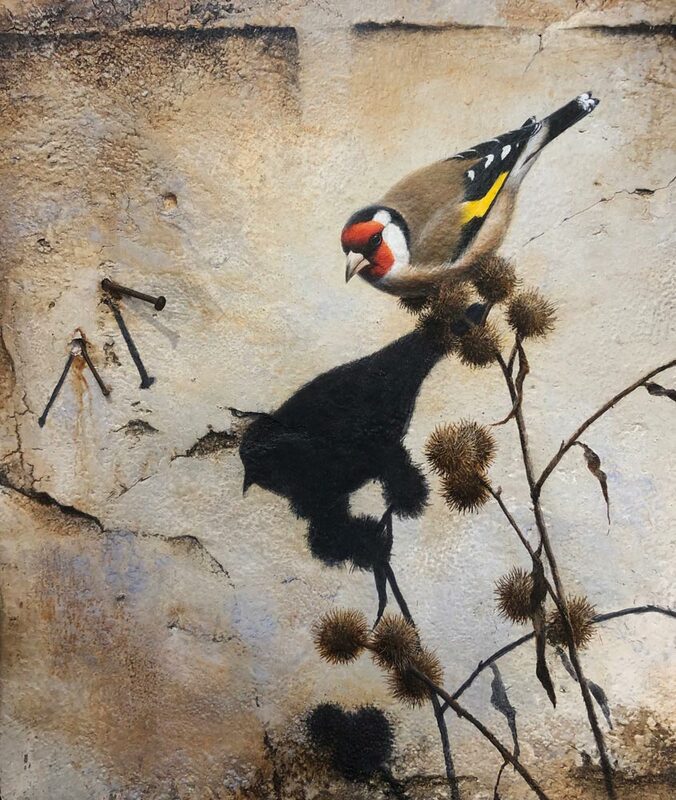 His smaller works of tiny finches and birdlife from the Messenger Series are particularly appealing and although the subject matter is traditional, Mazzoli introduces a touch of modernity through the handling of his dry-brushed backgrounds. A skilled artist when it comes to portraying and capturing the energy of the natural world in uniquely presented works of art.